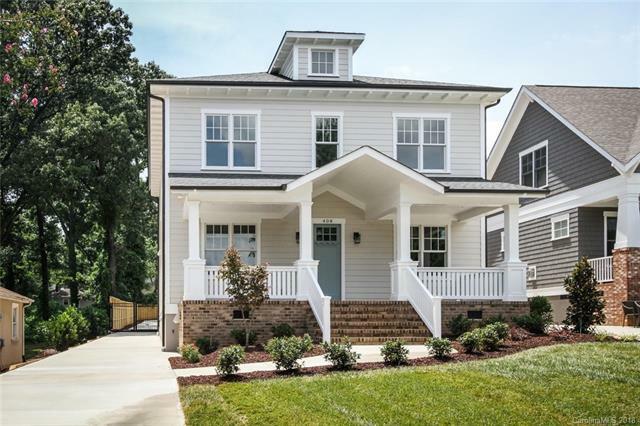 Beautiful, high-end brand new home in booming Dilworth / Southend area. Large 1/3 acre lot and 3-CAR detached garage...very rare features for the area. Fully fenced rear yard with remote controlled metal gate, brick paver patio, and large screened in porch. Interior features 10' ceilings with 8' doors on 1st floor; site-finished hardwood floors throughout; high end tile, trim work and fixtures; and large kitchen with banquette seating, custom cabinets, and professional appliances. Great, open floor plan loaded with custom details. Sold by Dilworth Realty Llc. Offered by Dilworth Realty Llc. Copyright 2019 Carolina Multiple Listing Services. All rights reserved.